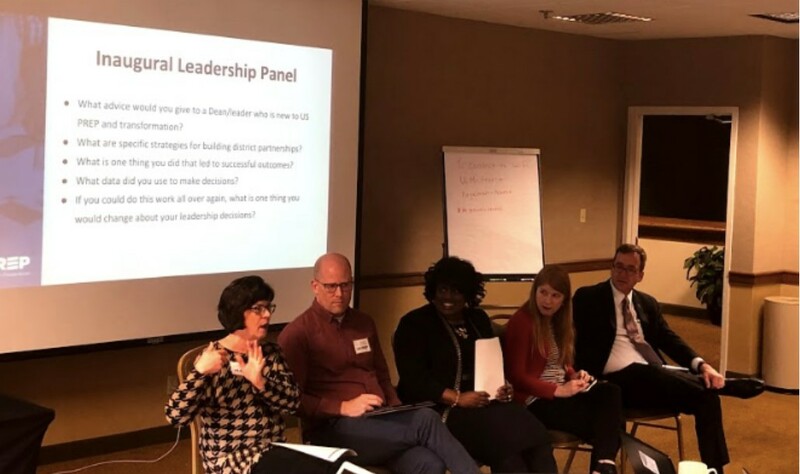 Recognizing the critical roles deans play, coalition deans and department chairs in US PREP recently joined together for 1 ½ days in Memphis, Tennessee. 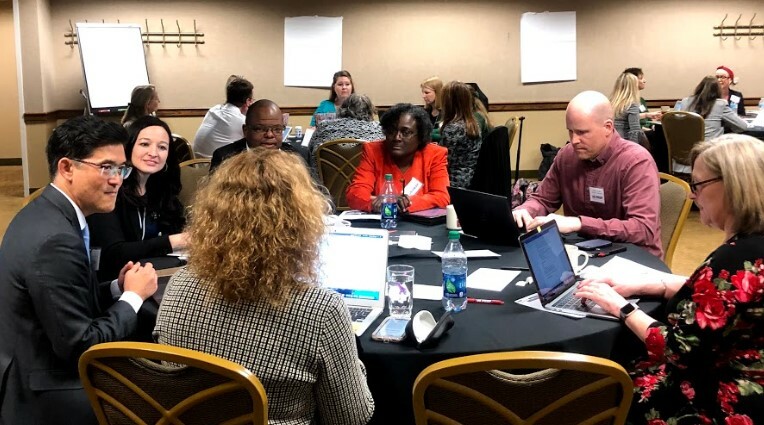 The convening provided a space for “real talk” with the goal of strengthening leadership practices as it relates to transforming their colleges of education. 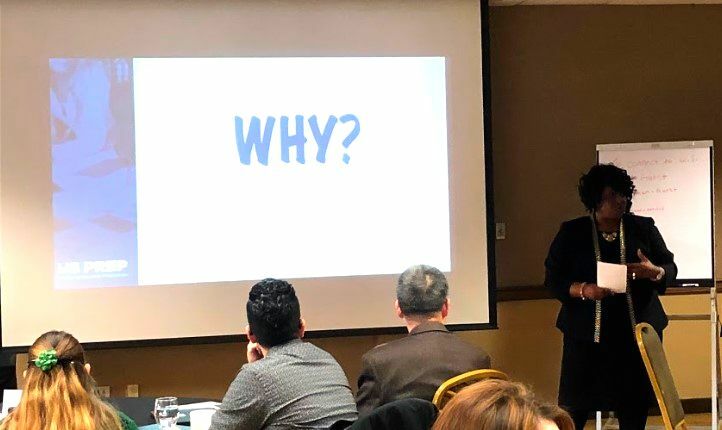 The retreat kicked off with dinner and an activity focused on the “why.” Beal said, “We felt it was important to review the real reason we do this work. Why do we care about high-quality teacher preparation in our colleges of education? Why do we partner with schools who serve Black, Latinx, and/or economically disadvantaged students? When the going gets tough, how do we keep focused on our 'why'?" Being a transformative dean is contingent on having the right conditions in place. It is impossible to do this work without the strong support from the university presidents and provosts. University of Memphis’ Dr. Tom Nenon, Senior Vice President for Academic Affairs and Provost, kicked off the morning retreat by welcoming the participants. He shared his strong support of our work in teacher preparation and emphasized the importance of deep partnerships with historically underserved schools. Throughout the day, participants engaged in three deep dive table discussions around key topics of interest: engaging faculty in the work of transformation, scaling high-quality programming, and sustaining the transformation efforts. 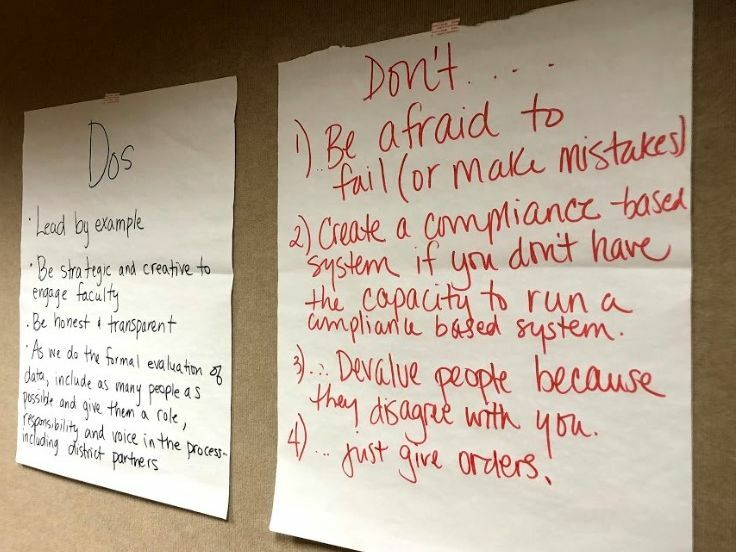 The discussions centered around strategies that support leaders with modeling transparency, navigating academic freedom, responding to resistors, establishing clear roles for all faculty, holding faculty accountable, establishing a culture around data use, and much more. The last part of the day was spent codifying leadership practices through sharing of articles and studies, and engaging in one-on-one consultancies to support leadership improvement efforts. Feedback survey responses suggested that every participant found the retreat beneficial. Hill-Clarke stated, “The exchange of ideas around clinically-based teacher preparation was impactful, and I look forward to continued conversations.” Other participants agreed and noted specific benefits to include: meeting and learning from colleagues in leadership roles at other institutions; gaining concrete strategies for involving faculty in diverse and meaningful ways; staying grounded in our why and the purpose that drives our work.